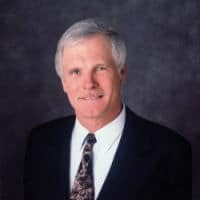 Ted Turner attended a private high school in Chattanooga, Tennessee before attending Brown University where he initially majored in Classics before changing to Economics. While at Brown, he was president of the Brown Debating Union and captain of the sailing team. He was expelled from the university before graduating for having a female student in his dorm room, though subsequently awarded an honorary degree from Brown in 1989. He joined his father’s advertising company in 1960 and in 1963 became president and CEO following his father’s suicide. The company worked primarily in outdoor advertising, specifically billboards and thrived during the 1960’s. In the late 1960’s Turner began purchasing radio stations across the southern states, selling them in 1969 to buy a struggling television station in Atlanta, and the Turner empire had begun. Turner had the foresight to know that people would one day turn to cable television stations as they wanted more choice. He spent several years developing the right sort of programming that encouraged cable companies to carry his station to free their schedules. With over 2 million subscribers and a net worth of over $100 million, he changed the name of the company to Turner Broadcasting System. He bought both the Atlanta Braves and Atlanta Hawks in 1976 turning the Braves into a household name by broadcasting their games to all his subscribers in the TBS network. In 1996 the Turner Broadcasting System, merged with Time Warner and Ted Turner took on the role of vice chairman, heading up the company’s cable networks division. Though he supported the Time Warner merger with AOL but lost nearly $7 billion when the stock price plummeted following the merger. He resigned from the board in 2006 and has devoted his life to philanthropy. Turner is one of the United States’ largest landowners with assets nearly 2 million acres across the country. In 1990 he established the Ted Turner Foundation which provides rants to projects and programs that focus on the environment and population. In 1998, Turner pledged $1 billion to the United Nations and established the United Nations Foundation to administer the funds. He also helped found the Nuclear Threat Initiative with a $250 million grant. Through the Captain Planet Foundation, Turner has sponsored over 1800 environmental projects submitted by children to improve local school and community areas.